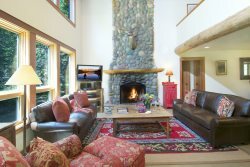 The Jackson Lodging Co. is a short and long term property management company in the Jackson Hole area and is proud to provide superior services and environmentally friendly cleaning methods in all of our properties. Jackson Lodging Co. is a community-oriented business that embraces sustainable efforts in our business decisions. We are passionate about providing a superior service to our homeowners and our guests, while striving to make as little impact as we possibly can to this majestic place we call home. Bottom line, we practice what we preach by acting locally while thinking globally.